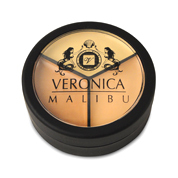 The Veronica Malibu Invisible Blotting Powder is formulated with vitamins and ingredients that soothe and moisturize the skin. Developed for even the most sensitive skin, this blotting powder is weightless and blends beautifully without looking cakey or dry. It’s the perfect touch-up product to keep in your purse. It instantly absorbs shine and reelects light beautifully. Helps prevent oily break-through without drying out skin. Leaves skin smooth, fresh and flawless. 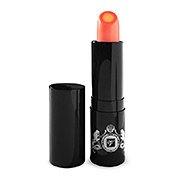 The perfect touch-up product to keep in your purse. Talc, Calcium Carbonate, Tricaprylin, Tocopherol (Vitamin E), Tetrasodium EDTA, Potassium Sorbate. Chlorphenesin, Ascorbyl Palmitate (Vitamin C). Using the puff applicator provided, gently blot face where needed. 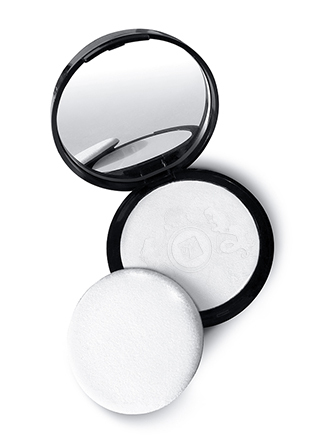 You can even use it under the eyes and it won’t look dry like most powders.